Tartar build up can be reduced by an effective oral care routine.Pedigree denta stix is scientifically proven to reduce tartar build up by upto 80 percent. 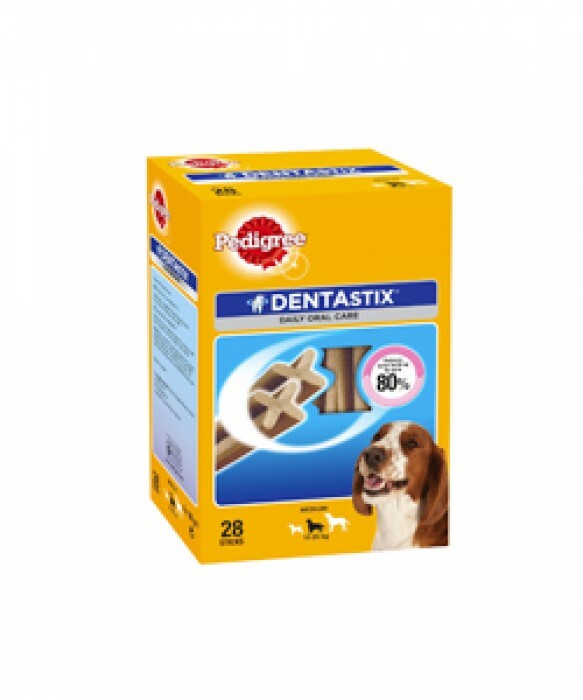 The product has combination of special texture, unique X shape and active ingredients.Pedigree denta stix helps to keep your dogs teeth healthy and strong. Pedigree denta stix has unique X shape and when fed daily, the combination of its special texture and active ingredients, is scientifically proven to help reduce tartar bulid up by up to 80 percent. So, to keep your dog's teeth and gums healthy and strong, use great tasting Pedigree denta stix every day.